Atmosphere is such a huge part of what makes The Winter Soldier excel. It’s something that made me fall in love with the Captain America character in his first solo movie, The First Avenger, which made use of a beautifully, thoughtfully realized World War II setting to not only facilitate the character’s origin story, but to comment on and explore his real-world roots in Jingoism and Propaganda – and, by extension, show how the Captain’s particular brand of humble, selfless heroism can have relevance outside those extremely limiting contexts. Atmosphere is even more important for The Winter Soldier, because in transplanting the character to modern-day America, one must also explore how his values would clash with what the United States has become. 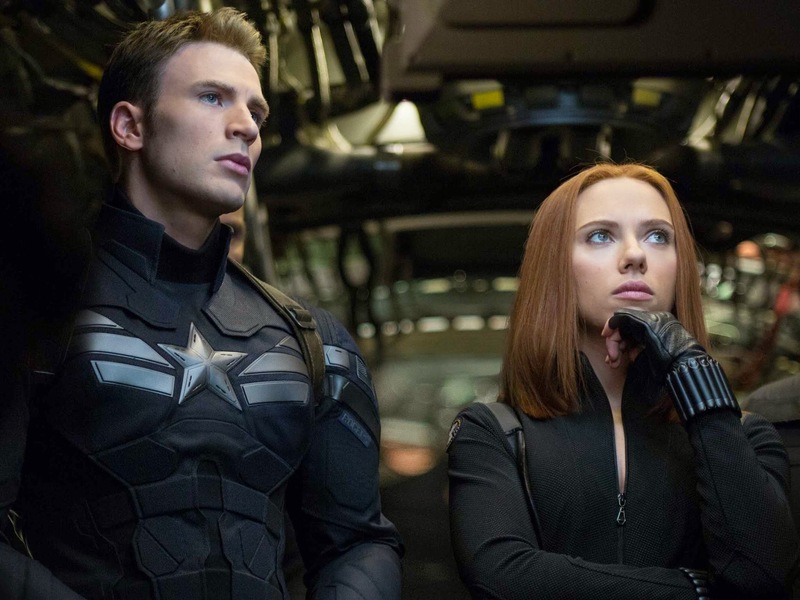 The Russo Brothers tackle these issues head-on, taking a whole-scale genre shift into political/espionage thriller, and paying much more than lip service to the idea. Through the fictional guise of S.H.I.E.L.D., the film puts America’s most disturbing ‘defense’ activities at the forefront – drone warfare and unauthorized data collection chief among them – and immediately establishes a tone of dark, gritty paranoia and uncertainty, a tone that feels, not coincidentally, incredibly familiar to the world we live in. I would be remiss to divulge pretty much any plot details here, given that the inciting narrative event constitutes a major spoiler, but suffice it to say that the film involves conspiracy at the highest levels, and in putting Steve Rogers up against forces he cannot fully understand or predict, the film becomes almost overwhelmingly tense very early on. This is the best modern American espionage thriller since the original Bourne trilogy, and it might even best those films, given just how taut the pacing is, and just how claustrophobically tense the situation is for Cap and his team from start to finish. When the film plays it full hand around the midway point, revealing the full complexities of the conspiracy (in a moment that could, very easily, have fallen flat), it resonates completely, and only ratchets up the tension further, because what the film is ultimately about feels like only a slight exaggeration of what American intelligence and defense operations have become. Like the best political thrillers, it plays off our fears to deliver a story with real weight, and is the first Marvel movie that really feels like it has a stake in reality. It isn’t just using modern, bastardized American notions of ‘freedom’ and ‘security’ as a backdrop, but as the crux of the story, and the script is extremely savvy about exploring what Captain America is, as a character and as an idea, in this modern context. It asks whether or not the values Captain America stands for – a belief in freedom, camaraderie, and trust – have any place in our modern world, and because the story itself feels so palpable and immediate, the character isn’t just tested physically or strategically, but ideologically as well. Just as The Dark Knight put the entire idea of Batman on narrative trial, breaking the character down to see if he can realistically be built back up, The Winter Soldier is the ultimate Captain America character study, utilizing a very particular atmosphere and story arc to push the character to his limits, and making him seem more compelling and relevant than ever in the process. This is the best screenplay Marvel has had yet, given how carefully writers Christopher Markus and Stephen McFeely have balanced each and every character, and what a dense and twisty story they have fashioned without ever letting things get too bogged down in exposition, or too breathless in superheroics. The film is perfectly paced from top to bottom, and that means having slow, quiet moments of character building or suspense in addition to big, bombastic fights or chase sequences. It knows when to throw action at us for maximum effect, and it knows how to explore these characters and their relationships in the softer, in-between moments. It knows how to keep us absolutely riveted to the edge of our seats in exposition, character-building, and action sequences alike, and it knows how to keep things moving and developing and expanding at all times. It is simply a flawlessly constructed action thriller, and the first Marvel film that doesn’t feel like an additional editing pass or script revision might have improved things, however slightly. It’s the character details that sell the entire piece, of course, and I think it’s a major credit to the writing, directing, and performances that The Winter Soldier feels just as vivid and densely populated as The Avengers did, even without any major superhero team-ups. There are a lot of returning faces here, including Scarlett Johansson’s Black Widow and Samuel L. Jackson’s Nick Fury, and across the board, I find them all vastly more interesting than I ever have before. I thought Joss Whedon had more or less perfected Johansson’s character in The Avengers, but she feels much more fully developed and fleshed out here, struggling with allegiance and morality in much the same way Captain America is, and Johansson is simply electric from start to finish, giving a great supporting performance and sharing top-notch chemistry with Chris Evans. Nick Fury, meanwhile, is finally forced to confront the darker side of his character – something we’ve seen hints of in previous films – and Jackson absolutely rises to the occasion, expanding Fury from a purely expositional (if entertaining) figure into one we genuinely care about. The new characters, meanwhile, are pretty outstanding, with Anthony Mackie in particular constantly threatening to steal the show as Sam Wilson, an Army veteran who befriends Steve Rogers early on, and comes to Captain America’s aid in the second half as flying superhero Falcon. Mackie’s seemingly limitless charisma is no surprise at this point, of course, and he fits the Marvel universe like a glove, not just as a sidekick to Captain America, but as a thoroughly compelling character in his own right. Robert Redford is an impeccable piece of casting as one of the film’s major political adversaries, and while we only get hints of her character here, I found Emily VanCamp remarkably appealing as Sharon Carter, the woman destined to be Steve Rogers’ ultimate love interest. But it’s the Captain himself who shines brightest here, with Chris Evans giving his best performance in the part to date. 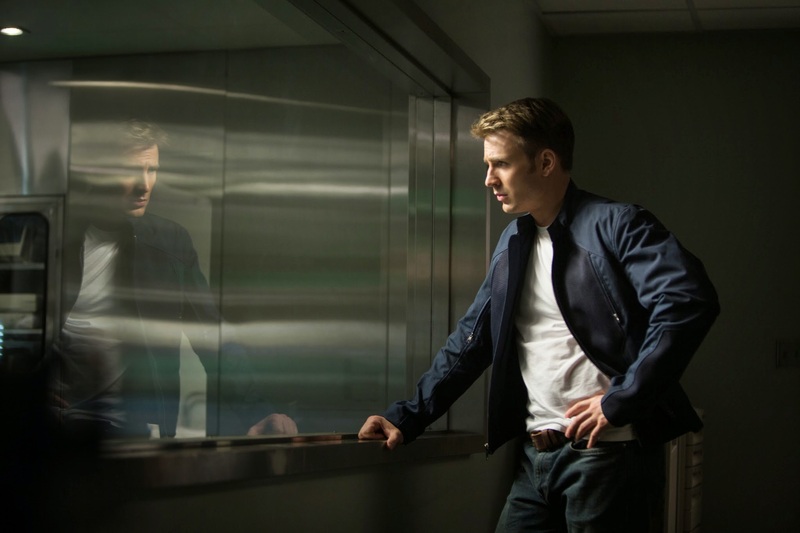 I find his characterization of Steve Rogers so immensely compelling, so sharp and reserved and quietly thoughtful; it is a dynamic no other superhero has, for both Evans and the film manage to find complexity and depth in a character who is fundamentally simple. Steve is unambiguously a good man, humble and honest and just trying to follow his moral compass as closely as he can, and the film is compelling because of how tricky following that compass becomes here. The first act does a tremendous job immersing us in Steve’s mindset as a man out of time, without ever going overboard; the early scenes are so reserved, suggesting what he’s been through and how he sees things in small motions and actions, and it’s powerful stuff. We sense that he has acclimated to this world, but still grapples with melancholy and confusion – and having him encounter and befriend an actual fellow soldier in the form of Sam Wilson, or be forced to work with people much more morally compromised and complex than himself (Black Widow, Nick Fury), helps to underline how genuinely rich the Captain America archetype truly is. 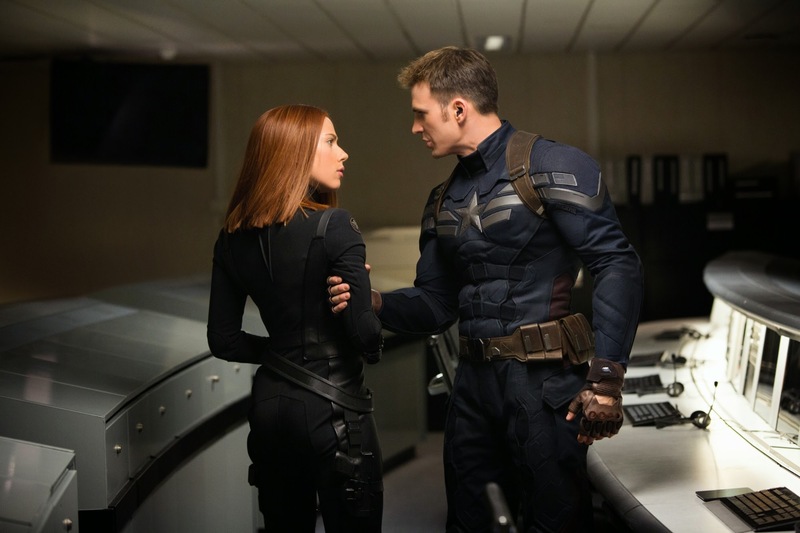 And given the nature of the film’s titular villain – something The Winter Soldier plays, somewhat unexpectedly, as a genuine reveal, and which I will not, therefore, spoil here – Steve winds up being challenged and tested right up until the very end, leaving the character (and the entire Marvel universe) in a very different place than where he started. The Russo Brothers deserve so much credit for everything they have accomplished here. I may have doubted them when their involvement was first announced – and I even kind of liked You, Me, and Dupree – but no longer. They deserve the keys to the Marvel kingdom as much as Whedon, and I hope they continue with Captain America, and maybe even other characters, for many movies to come. This is a film that feels born from genuine passion, from a pair of directors having something to prove, and that boundless energy is most apparent in the brilliance with which the Russos tackle the film’s action and set pieces. While nothing in The Winter Soldier necessarily matches the scope and complexity of the major set pieces in The Avengers, the action feels like it carries a lot more weight here. It is several magnitudes more exciting, unpredictable, and hard-hitting than anything featured in a Marvel movie to date, and the highest praise I can offer the film is that I was genuinely on the edge of my seat through most of it, convinced any character (except Cap himself, I suppose) could be killed or seriously injured at any time, and never even vaguely certain how a given encounter could or would play out. The Russos balance many moving pieces expertly in the film’s biggest set pieces, but of greater import is their handling of close-quarters, hand-to-hand combat. Hollywood’s modern propensity for shooting this kind of action in a very shaky, handheld, up-close, rapidly edited style is often bemoaned – and rightly so, given how most filmmakers use it as a crutch to avoid the challenges of accomplished choreography or pace – but I understand the theoretical upside of the style – at its best, these techniques should immerse us in the rhythms and brutality of combat – and The Winter Soldier is one of the only action films I have ever seen to fully execute upon it. Every moment of action is meticulously, expertly choreographed and executed, and while the camerawork and editing is fast, fluid, and immediate, there is not a single moment where clarity is sacrificed for the sake of technique. We are able to understand the geography and motion and power dynamics of every single fight, while also feeling immersed in the action by the camerawork – which, in turn, helps to create a powerful sense of gritty unpredictability. The execution is simply fantastic, and I am doubly impressed by how the Russo brothers have a very clear vision for how each of the film’s characters fight, individually and as a unit. 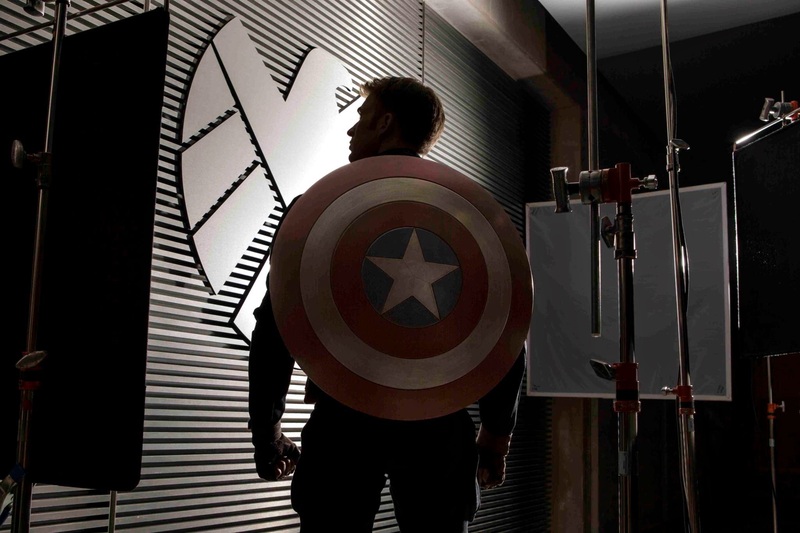 Joe Johnston, Joss Whedon, and now the Russo Brothers have all imagined how Cap uses his shield a little bit differently, but I like this take the best, with Cap using it almost like an extra arm or appendage, something he can strike with and defend with equally well, and which he uses almost constantly as one of his many physical tools. It is incredibly, seamlessly integrated into the action, making for fights completely different than any featured in other superhero or action movies. And it is only one part of Cap’s physicality, which has been entirely rethought for this new, modern context. He is quick, efficient, and deadly, much more of a soldier than a superhero, which clearly sets him apart from his Marvel colleagues. Black Widow, meanwhile, is a totally different breed of physical fighter, one who uses everything she has, including wits, to gain an advantage, while Falcon’s action heroics are all based around strategic, fast-paced aerial movement. The Winter Soldier himself is the best villain Marvel has yet had from a physical standpoint – Loki couldn’t be more compelling as a character, but he’s hardly one to throw a punch – a powerhouse so overwhelming that whenever our heroes go into battle with him, the odds seem impossibly stacked. He is ruthless and efficient and powerful to such a degree that every encounter seems a virtual impossibility, which is something very few comic-book films can claim. Beyond him, though, the entire scale of the film just feels massive, easily the biggest for a non-Avengers movie, and while Cap isn’t fending off an alien invasion here, the precision of the action, atmosphere, and storytelling are such that the stakes feel much higher, and much more palpable, than ever before. Not a single fight feels easy, nor any moment of victory unearned; in the Die Hard model, every encounter is a major struggle, until Cap is on his very last legs at the end, much more battered and bruised than we have ever seen a Marvel superhero before. At a certain point, it does make one wonder why Steve isn’t calling up Tony Stark or Bruce Banner for some much-needed assistance – I can at least accept he doesn’t have Thor’s phone number – but putting that logical fallacy aside, it does speak well to how the scale of The Winter Soldier completely reimagines the boundaries for a Marvel solo film. And that, again, is what impresses me most here – this is an enormous movie, and yet it also feels intimate and precise, the rare blockbuster where all the pieces, no matter how large or small, line up perfectly. The story and villains all stem directly from Steve’s mindset and personal struggles at the start of the movie, and they feed back into his development constantly. No character feels underserved, no arc undercooked, no character or action beat unearned – everything is in balance, and it makes for an unbelievably engaging, compelling experience. I have not been this tense, consistently or temporarily, watching a comic-book film since The Dark Knight, and while Avengers filled me with glee and awe, I don’t know if it did so quite as consistently or unexpectedly as this film. More than anything else, The Winter Soldier cements Captain America as my favorite current movie superhero, and for a character who could so easily have gone wrong, who could so easily seem irrelevant and unnecessary in this modern movie landscape, that is a pretty remarkable achievement.